• 09.30 : Depart from Chalong Pier to Racha Island by speedboat. Travel time only 30 mins you will experience the crystal blue water in which you can snorkel to see Variety of corals and fish, either at “Kon Kae” or “Siam” Bay. • 10.30 : Travel to Patok Bay on Racha Island. 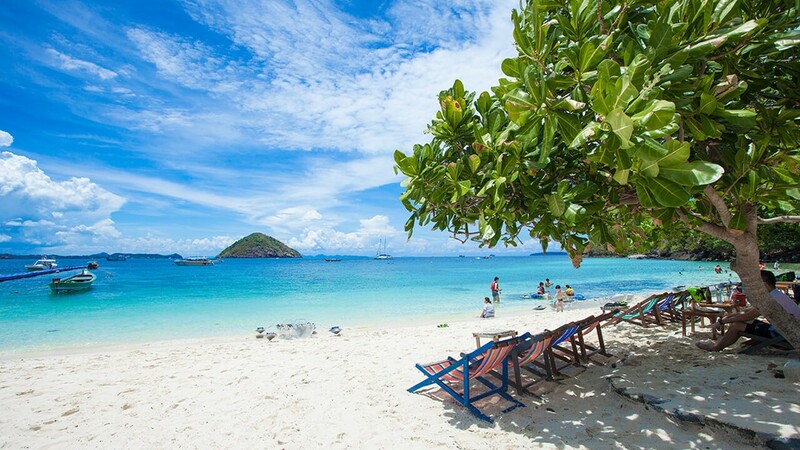 Relax and enjoy scenic bay view on the white sandy beach. • 12.30 : Depart from Racha Island direct to Coral Island. • 16.00 – 16.15 : Departure from Coral Island to Chalong Pier and transfer back to your hotel. This program is subject to change depending on the tide and the weather condition on that day. This trip is not allowed for pregnant women, those over 70 years old or children under 1 year old and please do not bring any unnecessary belonging or valuable on the trip, as the Company will not take responsibilities for any item lost or damaged.